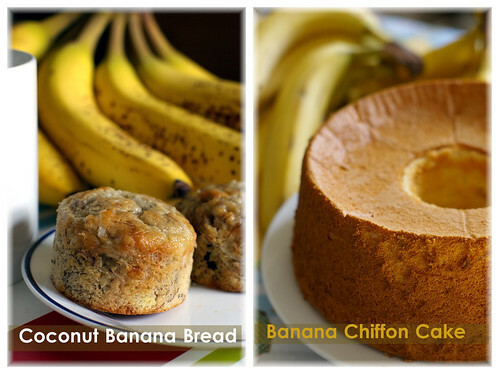 Fresh from the Oven: Bananas, two ways. I love it when bananas are on sale. The slightly spotted bananas which the grocery store knows will ripen exponentially overnight. They have to get rid of them and I am one happy customer who don't mind buying them. In the grocery store here, this kind of bananas comes in the 5lb bag. OCT being a banana lover, would try to eat as many as he could.While the rest would be left to ripe at room temperature. After which I would either use some to make a cake or freeze them for later use. I find freezing banana extremely convenient and satisfying. I feel empowered knowing that I can make banana cake whenever the craving hits, without making a trip to the grocery store. 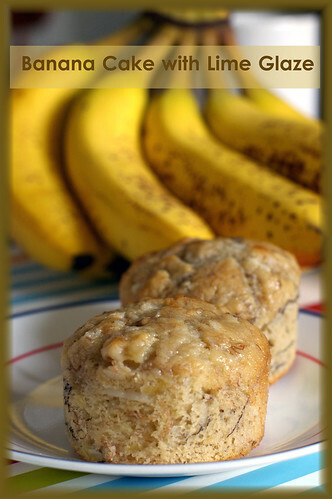 Inspired by the bag of ripen bananas we bought not long ago, I am going to share two banana recipes with you. The first one is a simple coconut banana bread with lime glaze. After trying a few banana bread recipes and found one that I really love, there isn't much incentive or urgency for me to try a new one. As the old adage says "if it isn't broken, don't fix it". However, I was tempted the positive reviews it received from other reviewers. This recipe, which comes from my favorite magazine- Cooking light, also garnered the test kitchen's highest rating. I just have to make it myself and see what the hype's about. Instead of making it in a loaf pan, as instructed in the recipe, I make it in the muffin pan. It's more convenient for sharing with friends and took half the time to cook. The coconut banana bread which incorporated low fat yogurt and a few tablespoons of dark rum was full of flavor. I especially love the lime glaze that provided a hint of tang that cut through the sweetness of the banana bread. If you are going to make this recipe, remember not to omit the lime glaze. Since I am not a fan of shredded coconut, I would probably omit it the next time. 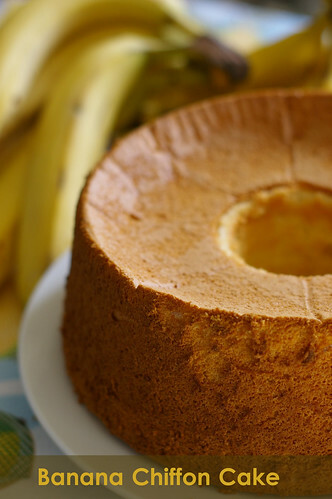 The second recipe, is a banana chiffon cake. Recently,I am addicted to the pillowy texture of chiffon cake, and have to make it whenever a good recipe presents itself!Oh how happy we were, biting into the first slice of this cottony soft chiffon cake. The lightness of the cake almost deceived us into finishing half of it in one sitting! Although I like to eat it as it is, I would not consider a thin glaze of chocolate ganache on top to be gilding the lily. Especially when one is considering of bringing this to a party.I am content however, with an unadorned slice of banana chiffon cake to go with my cup of coffee in the morning, or afternoon or even after dinner! I was initially sceptical of the usage of only one banana in the batter. I mean, it's such a huge cake! But I was pleasantly surprised with the banana flavor in each slice of the chiffon cake. It was the right sweetness and spot on flavor. The secret, as some of you may already know, is to use a very ripe banana. Center a rack in the oven and preheat it to 325F. In a large measuring cup or medium bowl, mash the banana. Add water,oil,vanilla and eggyolks. Whisk until well combined. Over a large piece of parchment paper or bowl sift together the flour and baking powder. Add 3/4 cup of sugar and salt and stir together. Make a well in the center of the mixture by pushing the dry ingredients towards the side of the bowl. Add the banana mixture. Using a rubber spatula, stir together until thoroughly combined. Place the cake on a rack over a lined baking sheet. Sprinkle with confectioner's sugar if using. Heat cream, sugar, rum in a saucepan over medium heat until it simmers and bubbles forming on the sides of saucepan. Remove from heat and pour cream over chopped chocolate. Using a rubber spatula, stir to melt chocolate with hot cream until the mixture turns glossy and smooth. Let the chocolate ganache cool to pouring consistency. Pour over the chiffon cake. Hi Mandy, Both your cakes look divine, but I've been looking out for a good Banana Chiffon recipe, and looking at how beautifully yours turned out, I guess I've found the recipe! Thanks for sharing! Mandy, what beautiful bakes! I am a big fan of banana baked food, not the actual fruit itself. Love love the lightness of your chiffon cake. Wonderful photos, too. Your banana chiffon cake is beautiful! I hope I'm able to make chiffon cakes that look like that, as my last one (and the first one I've ever made) didn't turn out so well. The coconut banana bread with lime glaze sounds really good too. I love the idea of combining those 3 flavours in a little cute cake. All lovely cakes you have. Bananas and limes are huge here in Brazil - that recipe is a keeper! 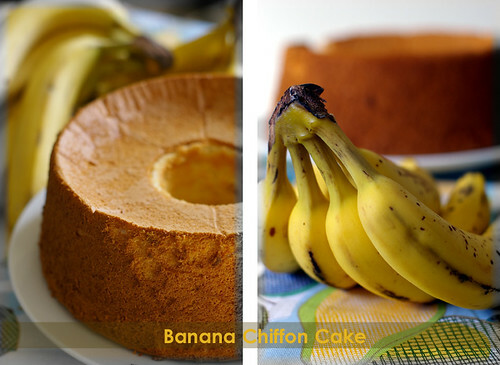 I've always loved banana bakes...your chiffon cake is just perfect! Both of those cakes look d-e-l-i-c-i-o-u-s! That coconut banana bread from Cooking Light is one of my favorites. I love the flavor. I have some over-ripe bananas on my counter right now - but now I have to choose which one I want to make!!! what a beautiful cakes u had made. love the pictures. also love your new webpage color. very nice color. so i can read the words. Wow! That banana chiffon cake looks amazing - I can't wait to try it out! 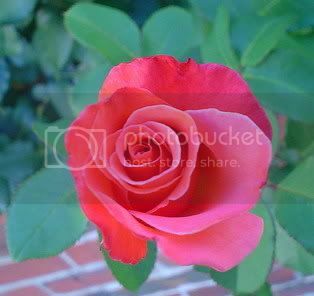 gorgeous - the recipe and the pics. i am definitnely trying them. Your post inspired me to use coconut in one of the very frequent batches of banana bread made in my house! Your cake looks beautiful! You are most welcome.Can't wait to see your banana chiffon cake on your blog soon! Me too! I don't really like eating banana on its own but love it in my bake. I think practice make perfect...This is certainly not my first chiffon cake. I know! 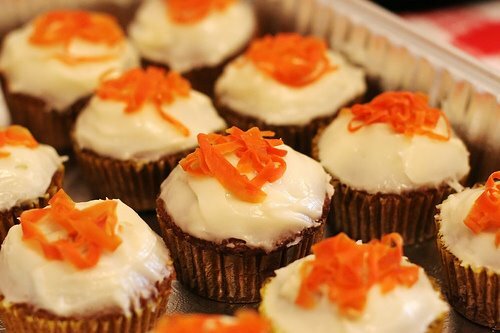 It reminds me of those that we could easily buy from the neighborhood bakeries. so we have another thing in common! thanks! That coconut banana bread is gooooooood. wat do u tink if i opt out the coconut?